Please note that latex balloons are used onstage and in the audience during this performance. Ride the wind and dream with Air Play, a modern spectacle that brings to life the very air we breathe. Flying umbrellas, giant kites, larger-than-life balloons, and the biggest snow globe you have ever seen make you gasp in wonder and laugh until it hurts. Air Play is a circus-style adventure of two siblings journeying through a surreal world, transforming ordinary objects into uncommon beauty. 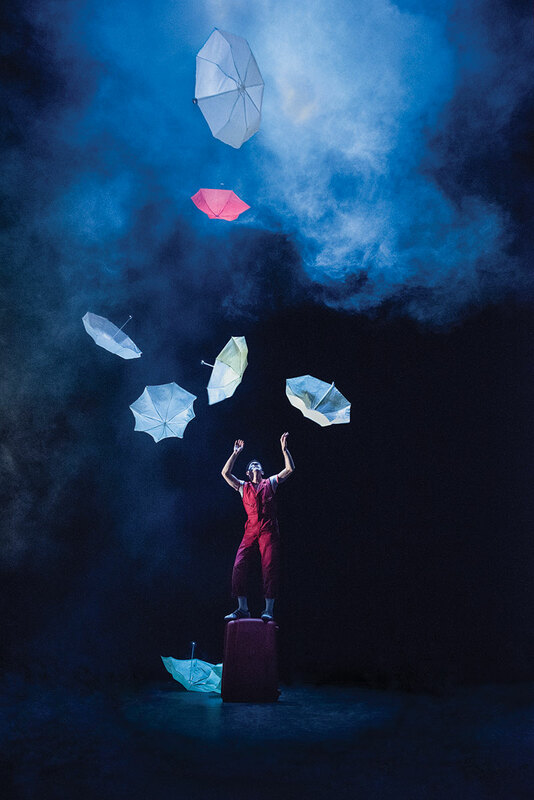 This dazzling production merges circus, street theater, and performance art with sculptural artistry. With visual images seemingly sewn from the sky, this poetic ode to childhood enchants and electrifies the young, and young at heart. Wild Kratts® LIVE 2.0 – Activate Creature Power!